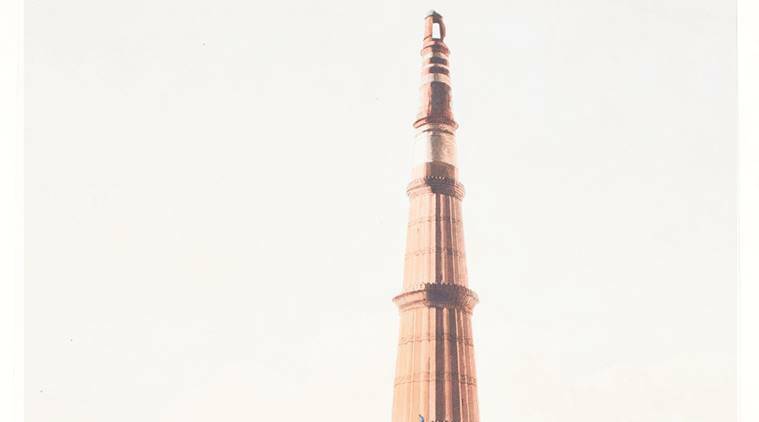 The seat of the Mughal rule, in May 1857, under the nominal leadership of the frailing Bahadur Shah Zafar, Red Fort was transformed into the headquarters of India’s first war of Independence against colonial rule. After the British seized the city, the last Mughal emperor was sentenced to be exiled and the Fort was occupied by the rulers, who subsequently constructed barracks in its vicinity. Restored as part of the conservation of the historic monument, the barracks are now open for the public, albeit as galleries dressed with art. Vajpeyi-Mohan, pointing out that the more familiar works of the masters have been displayed alongside rarer works. So the walls have Varma’s sketches and some of his most celebrated oleographs — among others, Mohini, the female avatar of Lord Vishnu on a swing, and The Birth of Shakuntala, where Vishwamitra is seen refusing to accept baby Shakuntala from Menaka. Jamini Roy’s doe-eyed protagonists are on the walls, but in an early landscape we see influences of impressionism. 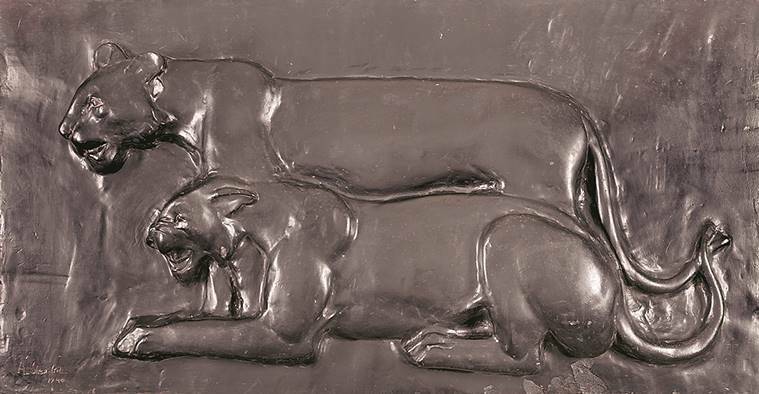 Another rare exhibit is an Amrita Sher-Gil plaster of Paris sculpture depicting two tigers. If in a 1943 watercolour Nandalal Bose takes inspiration from the Ajanta Caves, his postcards acted as his “diaries” that travelled with him. 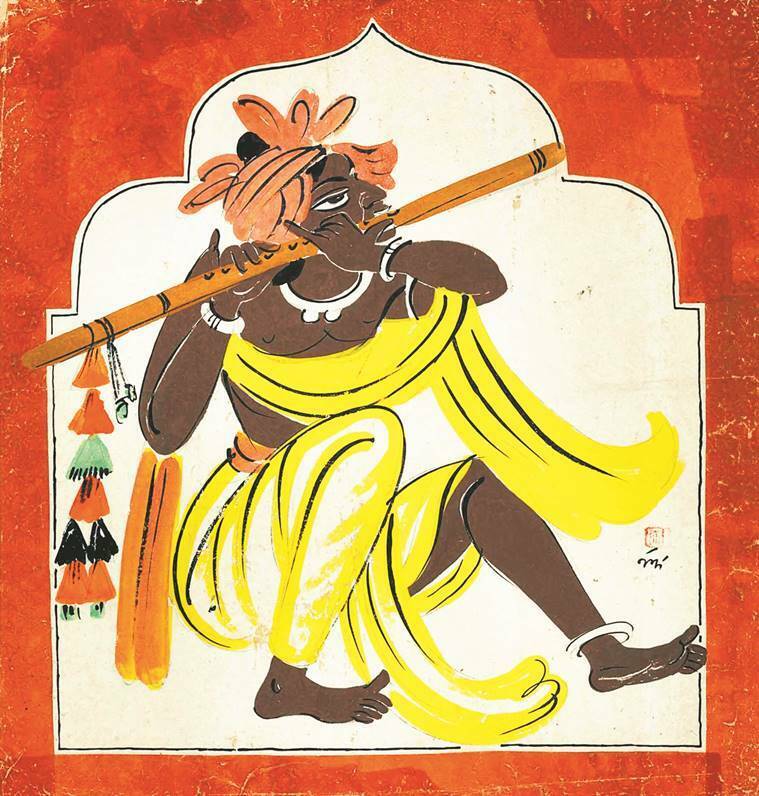 Bose’s Haripura posters made for the 1938 Congress session are on display, as is his work for the handcrafted Indian constitution. We see the rulers and the ruled. “The artist is telling a story situated in his experiences or the community’s experiences,” says Vajpeyi-Mohan. So after India came under the direct rule of the British Crown in 1858, we see the advent of chromolithographs of the Queen, including the coronation of George V and the royal couple at the Delhi Durbar in 1911. The rulers of the Princely States, too, stand tall in commissioned portraits, often covered with elaborate jewels and standing against grandeur backdrops. 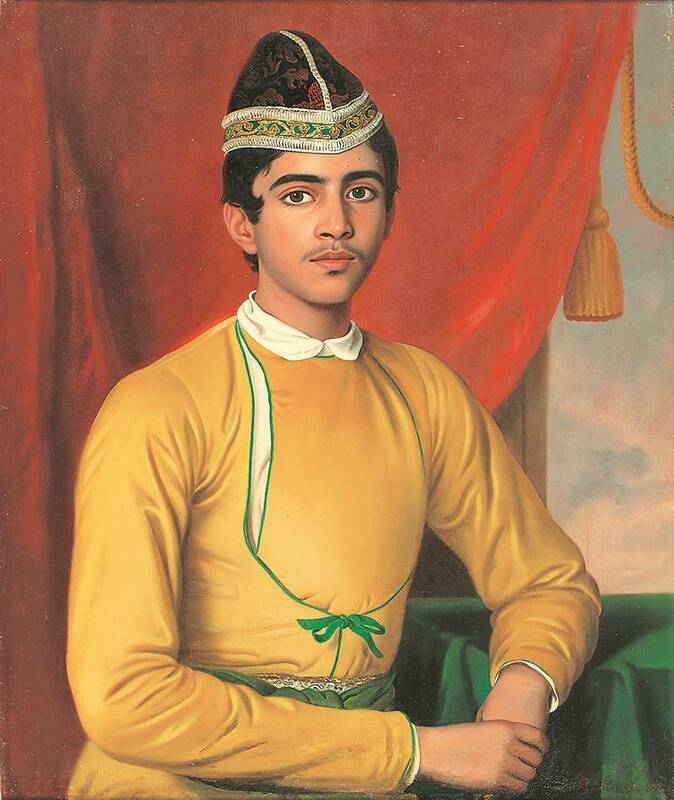 The gigantic Bourn and Shepard portrait of Nawab Mohammad Ali Khan Bahadur of Malerkotla, Punjab, has him in royal attire. “The line of portraiture changed over a period of time,” notes Vajpeyi-Mohan. As the Swadeshi movement gained momentum, art was also a means to appeal to the masses. Printed pictures were often used to reach out with a message and an entire section in the exhibition is devoted to these. An offset print from the 1930s-40s, Hind Ke Amar Neta has portraits of leaders such as Mahatma Gandhi, Jawaharlal Nehru and Subhash Chandra Bose surrounding the Red Fort. 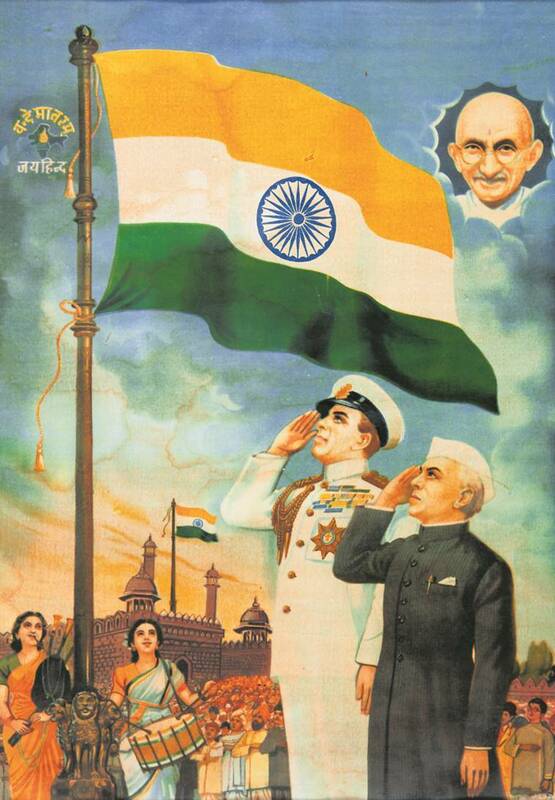 If a poster from the ’50s illustrates the life of Subhash Chandra Bose, another chronicles the life of Nehru. “We needed to showcase how with the advent of technology and the printing press, communicating an idea became that much easier. Engaging with the national movement was definitely one of the major aspects but also our gods and goddesses, calendar art — basically the idea of communicating and getting these things into each and every house and essentially building an idea. For the national movement it was humongous, which you see in the exhibition,” says Vajpeyi-Mohan.